DIY Laser Hair Removal: Your Way To Going Fuzz-Free At Home! So ladies, what’s the worst part of your regular beauty routine? Undoubtedly the ‘hair removal‘, isn’t it? You put all your efforts into eliminating those annoying stubbles from your life but they keep regrowing and stops you from achieving that silky smooth skin! We are sure that you have already wished many times to get rid of body hair permanently. But if you are yet to know how to do it, the DIY laser hair removal will be the simplest, easiest, and most solution for you. Don’t worry if you have no idea about this method. We got you covered here. If you are tired of all the shaving and waxing, the laser treatment can be the perfect way to zap your body hair. You can visit a reputed salon and opt for a laser treatment under the supervision of an expert, which will help you get rid of body hair permanently by disabling the hair follicles. But what’s more, this revolutionary technology has now been made available as easy to use ‘DIY kits’ under lots of popular brand names. You do not need to visit the salon and spend large amounts anymore in order to undergo the treatment. Using these kits, you can give yourself a laser treatment right from the comfort of your home and they work as effectively as the professional systems do for permanent hair removal. What Are Included In The DIY Kits? The primary content of a DIY laser hair removal kit is a powerful laser device. It can either be battery powered or powered by another main unit to which the handheld device is connected. If your device is powered by a battery, it will be included in the kit. Otherwise, you have to plug the main unit into the power socket and the entire device will start working on electricity. Some DIY laser hair removal kits also come with extra accessories, such as a shaver, an epilator, etc. that can be connected to the main unit for immediate hair removal. How Does DIY Laser Hair Removal Work? 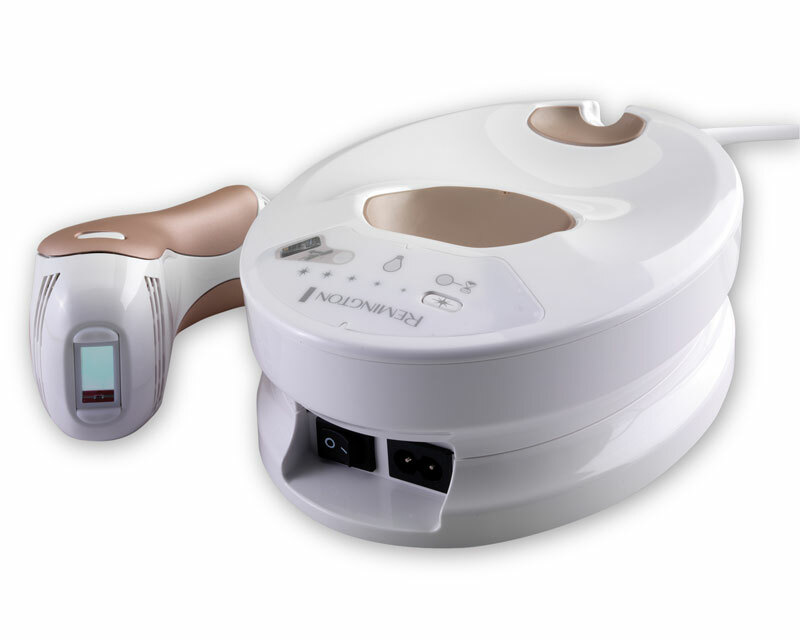 The device sends out a laser beam or an intense pulsed light, which is focused on the targeted areas of the skin. This light, when absorbed by hair shafts and hair follicles, gets converted into heat. The melanin in the skin absorbs this heat, which then destroys the follicles completely. As a result, all the hair in the areas where the laser was applied, fall out within a week or two. Since the heat is absorbed by melanin, the more the melanin in your skin, the higher the percentage of heat that enters your skin. Darker skin tones absorb more heat and hence, the chances of getting burnt is high for them. So, most at-home treatments are recommended for people with fair to medium skin color. The treatment works on all hair follicles that are in their growth phase, which accounts for 90% of your body hair. Therefore, most brands recommend that the treatment is done once a week at least for the first few times in order to ensure that all the active hair follicles present on that part of the skin are covered. After 6 treatments, you can choose to do it as and when there is new hair growth, which should not be that often anymore. Shave off all the existing hair. It may sound ironic as your final goal is hair removal only but this is done to have a clean workspace on which you can move your laser device smoothly. It also ensures that the intensity of the laser beam is optimum when it reaches the follicles. Turn on the laser device by using its ‘start’ or ‘power’ button. Most such devices come with adjustable intensity levels. Hence, you need to start with the lowest leve lof intensity and increase it gradually as per your comfort. Do a patch test on a small part of your skin. You will see the device emanating a bright light as soon as it comes in contact with the skin. You will also realize that the light turns into heat in your skin and there is also a heavy feeling of pinching. However, no irritation or burning senation shoiuld be there after a couple of hours. Now, go on and zap the device on your skin. Keep moving it just the way you would move a razor. You will feel that your skin is getting heated for a few seconds but nothing will happen beyond that. 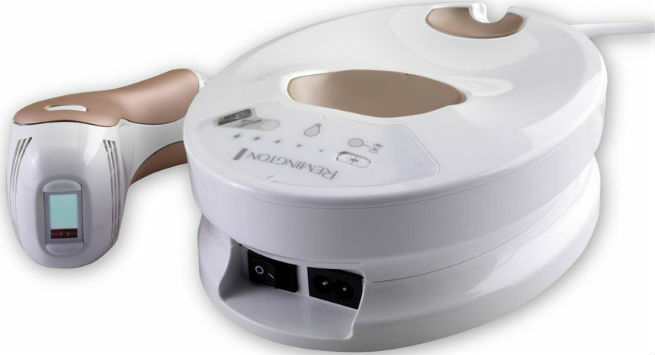 Run the device all over the parts of your skin from where you want to remove hair and repeat 2-3 times as needed. Doing this once every week for 6 consecutive weeks will make all the hair on the treated parts fall off. It is safe to be used on the face and any other part of the body too. Just be careful not to linger on any part of the skin for longer than a couple of seconds. Different brands offer DIY laser hair removal kits at different prices, even though the features offered by them are more or less same. The average price of such kits is around $400. Is DIY Laser Hair Removal Safe? At-home laser hair removal treatment is known to be completely safe to use. Just make sure that you go through the user manual thoroughly and do the patch test right before performing the procedure yourself. Also, ensure that you follow all the instructions with utmost care and use the device patiently. DIY laser hair removal kits give you complete freedom from the hassles of tweezing, waxing, and shaving. Just bring one home and get started on your journey to be permanently fuzz-free!